Building a healthier world through nutrition technologies, analysis and expertise. Viocare, Inc. is a privately-held technology company dedicated to improving health and wellness. At the forefront of the nutrition revolution since 1993, we continue to create innovative nutrition-based software solutions that are shaping the future of nutrition and diet. With a customer-first approach and focus on translational research and technology innovation, we offer a scientifically valid, evidence-based line of professionally managed, nutrition-based solutions. More than $11 million in grant funding from the National Institutes of Health. Collaborating regularly with the nation's leading research institutions, Viocare has leveraged more than $11 million in funded research from the National Institutes of Health (NIH). This has resulted in our breakthrough web and mobile solutions for personalized nutrition assessment and behavior change. Solutions for all nutrition-based applications. Viocare solutions are used in a wide range of applications — from scientifically validated dietary research to health, wellness and disease management programs offered by research centers and corporations. A management team steeped in innovation, value and science. Our people bring a wealth of experience, expertise and passion to nutrition-based technology and analysis. 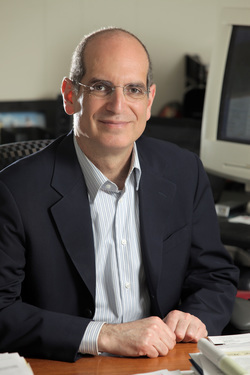 Rick Weiss, President and Founder. Rick founded Viocare in 1993 with the goal of improving the health of individuals through dietary improvement and the use of technology. He is responsible for securing over $11 million in research funding and has been the Principal Investigator on over 20 NIH awards. He has a long history as an innovator, starting as an applied researcher at Bell Labs and later rolling out Squibb’s first worldwide email platform and Practice Management System. Rick regularly presents at major healthcare conferences and is published in peer review journals about new technology techniques for dietary assessments. Rick received a BS in Electrical Engineering and Math with honors from Carnegie Mellon University, and an MS in Electrical Engineering and Computer Science from Princeton University. Whatever it takes to help you succeed. The entire Viocare team is passionate about wellness, technology and delivering high quality products to help you achieve your goals.